Button clocked an unofficial best lap of 1:48.3 in his F1 car, before Lowndes shocked the crowd by posting a time only one second slower. 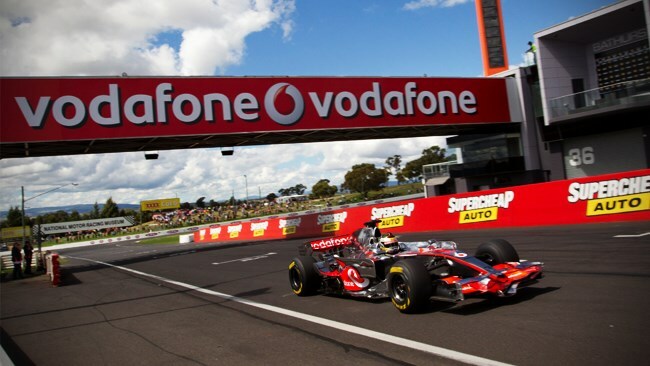 Either laptime smashes the previous best lap around the track, a 2:06.8012, which was posted by Lowndes in practice for last year’s Bathurst 1000 V8 Supercar race. Lowndes headed to Europe in 1997 to chase his own F1 dreams, and was teammate to Juan Pablo Montoya in Formula 3000, but returned to Australia after finding little success.